Category: Interactive, Latest Work, Web Design. 360i Homepage Interactive flash piece that demonstrates work produced at 360i using the 360 degree concept where each project is revealed upon user rollover, on click users are taken to project detail page to read about displayed case studies. Category: Banner Ads, Interactive, Latest Work. 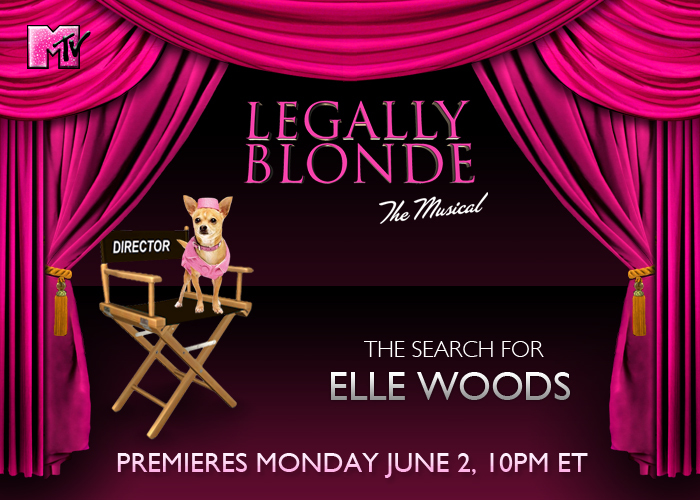 MTV had a new reality show where contestants are competing to be the new Elle Woods for the Legally Blonde Musical, Bruiser, Elle’s pet was used for animation such as blinking and wagging tail on a directors chair, on the stage to draw the viewers attention.